Here you will find the latest news and advice from the Parrot Society. Keeping you up to date with Society Events, Conferences, News, Articles on best practice and 'How to Guides' on everything Aviculture! Another AGM has now passed, and we can all welcome the brand new Management Committee with open arms! Firstly, it goes without saying that we should thank David Bennion for his many years of service to The Parrot Society of Australia; both in the positions of Editor and Membership Registrar. Dave has retired from his roles, and will continue as part of the PSOA family as a Life Member! Secondly we'd like to thank Garry Stack and Lloyd Dowling for their tenure on the PSOA Management Committee. Garry as Vice President, and Lloyd as General Committee, have provided a great deal of effort to the running of the Club. With the prevalence of online bird scams, and the social media crackdown on advertising animals for sale; how do people know where to turn when searching for reputable Aviculturalists? 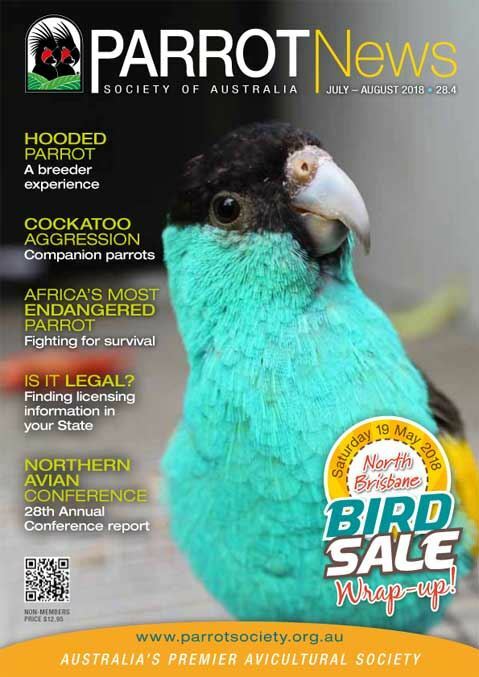 The new Parrot Society of Australia website has established a growing community for Members to advertise (free as part of their Membership) their own bird-keeping efforts. The guarantee for people searching for birds is this: every single person on the PSOA Breeder Database is a current financial member of our Association, and their ongoing support for the Club is a testament to their belief in raising the perch in Aviculture. As the Website is still very new, Members are gradually beginning to advertise their Aviaries in the Database. We aim that within the first twelve months to have over 100 Aviculturalists on the Database. Support for Australian Farmers is now of the upmost importance. At our most recent Management Committee Meeting it was decided that The Parrot Society of Australia would do its bit to raise much needed funds for Drought Relief. Our farmers are in severe drought conditions with 99% of Australian farmers affected. This drought has been ongoing for the past several years, making life on the land tough for the farmers and their families. The efforts by the Australian public and Corporate sponsors have been outstanding in recent times and The Parrot Society of Australia wants to ensure we offer as much support as possible too! Throughout the months of August, September, and October the PSOA will pledge 5% of its entire revenue from Parrot Supplies Australia and 5% of financial Memberships with the Society to the effort. We will donate this through Rural Aid, who provide fantastic avenues of support for farmers and their families. We thank you for your assistance with raising funds for Australia's drought stricken farmers! In the modern World we are constantly being challenged by improvements to technology and information sharing. For Associations like The Parrot Society of Australia it is fundamentally important that we continue to strive towards delivering new and innovative ways to support Australian Aviculture. One of the first improvements we made was by introducing the Parrot Supplies Australia Online Store. This had been in talks for over a decade in The Parrot Society, but in 2017 we managed to make that a reality. Absolute huge improvement for the Club! With technology improving, we began to investigate options that could help us look after our Members better. We found a fantastic system called Wild Apricot, and with that Advance Web Design who specialise in helping Associations across the World with streamlining their model. Our sincere thanks to Michael Sugg, Managing Director of Advance Web Designs and Advance Association Management for his (and his team's) assistance during this process. It's been fantastic to see these changes come to light! Stay tuned and subscribe for updates to our News section! Parrots 2018 - Done & Dusted! Parrots 2018 is a mammoth task for a group of Volunteers, but it's something we all thoroughly enjoy to continue to promote our ethos to "Raise The Perch In Aviculture"! We flew in a great group of Speakers this year. One of our key points of interest was finding people who hadn't spoken at a Parrots Convention before (or for some time), and would provide a different perspective on Aviculture in general. The weekend was a cold and early start for our feathered-adventurers making their way out to not one but four different private collections! Everything from understated Natives, to playful Amazons, rare Indian Ringneck colour mutations, and some of the most impressive gardens many of us had ever laid eyes on! It was a stand-out Aviary Tour, and a fantastic start to a knowledge-rich weekend. We then all rolled in for the two streams of lectures, one focussed on Companion Parrots and the other on Breeding. Of course this was complimented by shared lectures, but all in all there was something for everyone; regardless of your interests. Between lectures there was time to view the range of Trade Stands, including that of the Parrots 2018 major sponsor - Vetafarm. We also welcomed ABK, Animetics, Priam, Parrot Supplies Australia, and the Hagen Avicultural Research Centre (HARI); who were accompanied by none other than Mark Hagen himself! There were many bird-keepers who enjoyed networking with Mark, and learning a great deal more about the Tropican brands and its supply to Australia! Then the pinnacle of our weekend is the Parrot Trust of Australia Conservation Dinner. We raised just shy of $5,000 for our vulnerable native species, which is a wonderful effort. Our President and Secretary decided to play the part of Auctioneer and Spotter, keeping the crowds entertained with a wondrous array of bird-related artwork, literature, and collectables. We also welcomed to the floor a presentation on the Night Parrot, as well as the night being opened by Australia's Threatened Species Commissioner - Dr. Sally Box! Interesting conversation was sparked about the Orange-Bellied Parrot, with a view of having private Aviculture working closer with Government; all in aid of building a brighter future for Australia's bird species. Another great addition was our 'Nutrition Panel', made up of Mark Hagen, Dr. Deborah Monks, Dr Stacey Gelis, and Daniel Gowland. This raised a great number of questions from the floor, and allowed for a science driven approach to Avian diets to be discussed; as opposed to the old rhetoric. It certainly gave many perspective, and was well received! We're already well underway for planning Parrots 2020 - which we are hoping to be our best yet! Keep an eye on our website for updates. Jurong Bird Park - What A Prize! Parrots 2018 is fast approaching. This is The Parrot Society of Australia's biennial Convention, with people from across the World flocking to Queensland to embark on a weekend of education! But, it isn't just about education. It's also about the great social atmosphere that our community has; sharing knowledge, and working towards improving Aviculture. 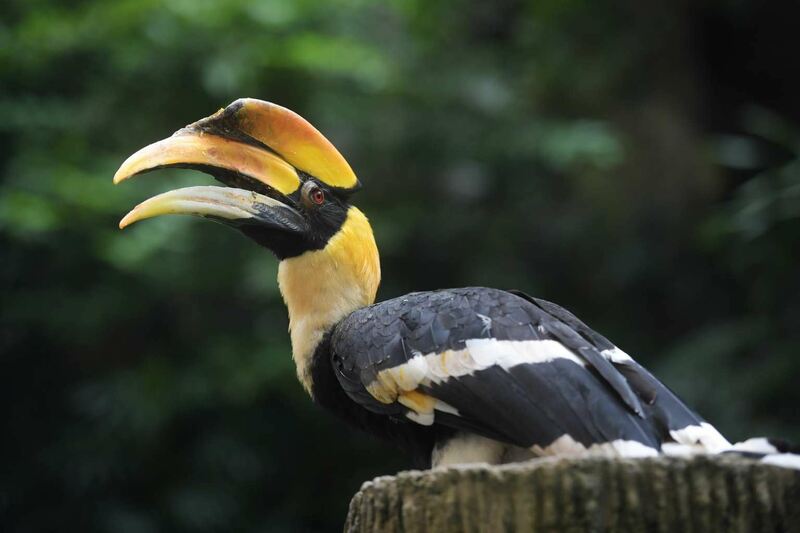 To help reward our delegates for this year, The Parrot Society of Australia is donating a VIP trip to Jurong Bird Park, with flights and accomodation included! 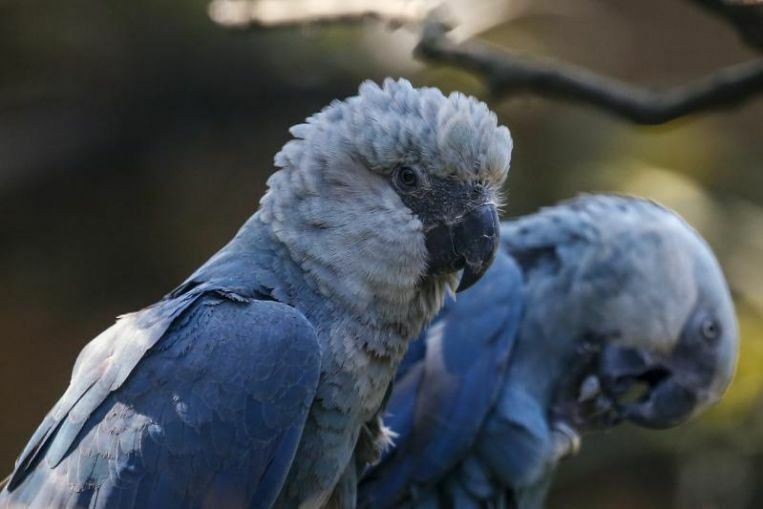 Many will know that Jurong is famous for keeping some of the rarest species of birds in the World, including the Spix's Macaw! Not to mention a plethora of other beauties all in one spot. To be in a chance of entering this incredible prize, all you need to do is ensure you're a paying delegate at Parrots 2018! Well our annual bird sale for 2018 is done and dusted! Without blowing our own trumpet, we really pulled out all of the stops to bring you a better Event for this year. We certainly learned a great deal from 2017, which saw a huge influx of visitors with the improvements to Social Media marketing. We are looking forward to an even better 2019, with the possibility of a second Bird Sale on the horizon!